Established in 1974, Genesis Publications is an independent publishing house true to the arts of printing and craftsmanship. Inspired by the traditions of the private press, we are pioneering in our methods and materials. Often combining traditional bookmaking crafts, such as fine leather bindings, with modern materials such as perspex and aluminium, we create books that are works of art in themselves. Hand finished by master bookbinders they include special design features such as: hand-cut leather, mixed media bindings, gilt-edged pages, gold foil embellishments, trace papers, bespoke bookmarkers and hand-sewn detailing. Our limited editions are highly sought after and feature in the collections of the world's finest libraries, including the New York Public Library's Rare and Fine Printed Book Department. 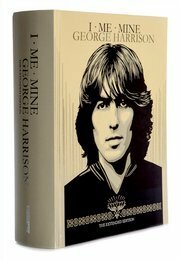 In 2016, we celebrated our 100th book, I ME MINE - The Extended Edition, the complete collection of George Harrison's lyrics, 36 years after publishing the first edition. In 2017, we presented a special edition, Genesis 100, celebrating 100 titles from over 40 years of publishing. 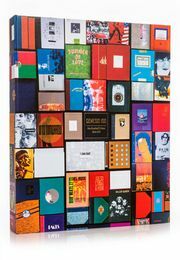 Working with Eric Clapton, Sir Peter Blake, and the estates of George Harrison and David Bowie, some of Genesis's most sought-after books are re-imagined as a collection of fine-bound pocket editions.